I’m going to tell you a secret. You can make pesto out of pretty much anything. I know it’s been masquerading as something reserved for spring weather. Don’t let the pesto police fool you. There are no rules. If you have greens, nuts, oil and a little cheese, you are golden. I just happened to have chard in my fridge and cashews in my pantry. There are endless combinations when it comes to making a pesto. Play around with it. I encourage you to be creative. Here is what I came up with from the contents of what I already had in my kitchen. It’s super flavorful and lends itself nicely to pretty much anything. Seriously… just put some pesto on it. Wash and dry your chard. Chop it up. Add all of your ingredients into a food processor. Process until it’s a smooth paste (2 minutes or so). Once it’s processed, taste it. Add salt and pepper to taste. I find a simple pinch of each works nicely. Was that easy or what? 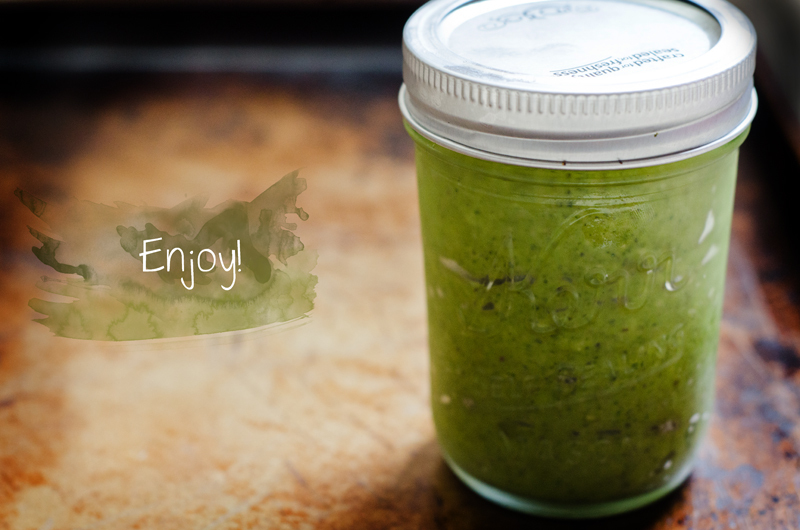 Store it in your fridge in an airtight container for up to a week. 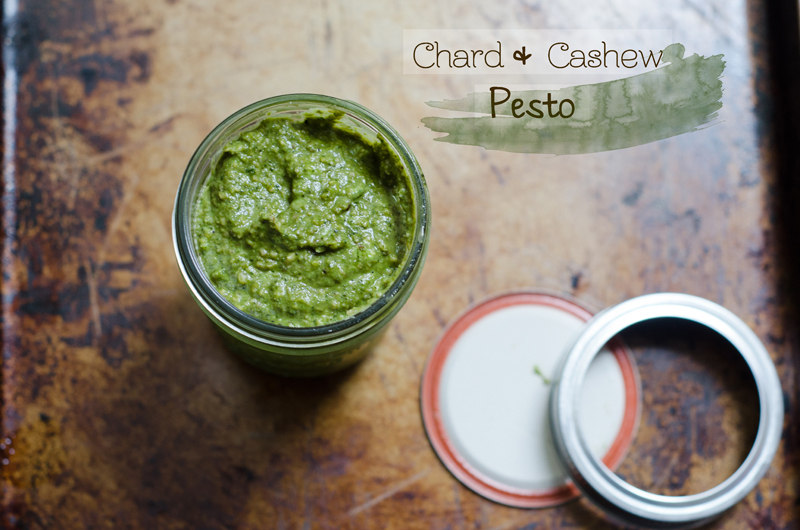 I have a breakfast recipe coming at you soon involving this very pesto! Oh, yeah. Stay tuned.